I never had considered keeping bees. 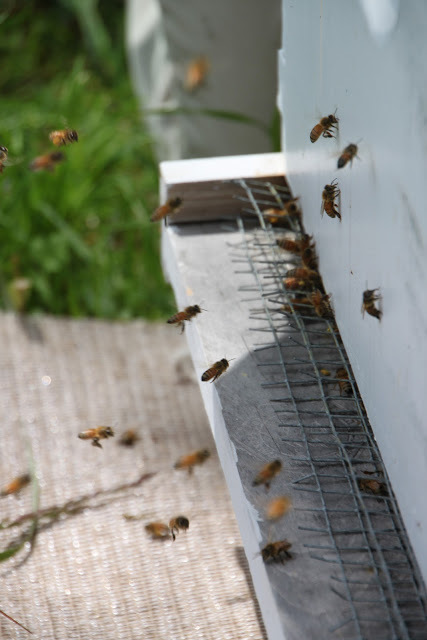 As I learned of serious challenges they face in our world today, I began to think about keeping a hive or two on our property. It has been estimated that one in every three bites of food we consume is possible through the work of honeybees. The importance of their work and existence was taken for granted for years. Today, their existence is vulnerable and scientists are finally dedicating research efforts to ensure their survival for future generations. Four years ago, I discovered that our town not only welcomes the keeping of bees, but also has a local association that offers an introductory class. This past winter as snow fell on the ground, I immersed myself in everything bees; including taking their course. I feel it is so important to at least try to make a difference in the world in which we live; even if it is as small as keeping a couple of beehives. So, if you please, I invite you to come along on our newest journey of keeping bees for the first time. Along the way, I will try and share with you what I have learned, successes and failures. I hope maybe to inspire some of you to take a leap of faith in your life and try something new, even if it makes you a tad bit nervous. I started my beekeeping journey in the winter of 2011. I had my first substantial honey harvest in Summer of 2014.